Frequently Asked Questions | Anderson Hay & Grain Co. Inc. Yes you can! Please fill out this form or call +1 (509) 925-9818 in order to schedule a tour. Please note that we may not be able to accommodate all requests for tours due to timing constraints and the availability of staff. How can I get in contact with Anderson Hay? Sending an inquiry couldn’t be easier. Depending on the type of questions you have, we can direct you to the person most qualified to answer. For General Inquiries, please click here. For Product Inquiries, please click here. How long have you been shipping hay? Anderson Hay first shipped hay to Japan in 1971 and we have shipped hay internationally ever since! How many bales can fit into one container? Depending on the commodity, loading style, and packaging style associated with the product, there can be anywhere from 50 to nearly 1,000 bales in a single forty-foot container. If you are looking to import our product, please click here to submit a Product Inquiry. How much volume can fit into one container? Depending on the commodity, loading style, and packaging style associated with the product, there can be anywhere from thirteen to twenty-eight tons in a single forty-foot container (twelve to twenty-six metric tons). If you are looking to import our product, please click here to submit a Product Inquiry. What is the difference between Alfalfa and Timothy Hay? 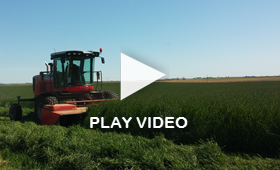 Alfalfa hay and Timothy hay are very different products. Alfalfa hay is a legume and is known as the ‘Queen of Forage’ because of its high relative feed value and protein levels. This high nutritional content assists in the production of high quality milk production in cows, goats, and camels. Timothy hay is a perennial grass that is produced in climates with a cold winter and hot summer. A favorite feed for racehorses and beef cattle, it is a wonderful source of fiber in a ration. Timothy hay was the first forage to be exported from the United States. What Straw products do you sell? Depending on availability, we sell Tall Fescue, Orchard Grass, Perennial Ryegrass, Annual Ryegrass, Wheat and a variety of other Straw products. If you have questions concerning the timing of arrival of your shipment, please contact your dedicated customer service representative. Where do you ship your product? Operating across the Western United States, Anderson Hay ships product from the major ports on the West Coast to a variety of locations around the world. Our product has reached over 100 ports around the world and that number keeps growing! For more questions, please click here for a General Inquiry or call us at +1 (509) 925-9818.